The Department of Petroleum Resources on Friday stormed several filling stations at Ikorodu, Ibeju-Lekki and Ketu, in Lagos and shut down 14 stations for manipulating their dispensing pumps and over-charging buyers, among other offences. While all the affected stations had N87 per litre on their pumps as the selling price, the pumps were under-dispensing petrol, with almost one litre lost by buyers for every 10 litres bought. The affected stations include Mobil at Owode bus-stop, Ikorodu; So Super Limited (Sahara), Ogolonto, Ikorodu; General Oil Limited, Ketu; Walesaf, Owode-Idera bus-stop, Ikorodu, and HS Petroleum at Ketu. At Mobil, 150 litres of water were also found in 30,000 litres of PMS in one of its tanks. Two pumps were sealed at MRS station at Alapere, Ikorodu road. At the Nigerian National Petroleum Corporation station, Irawo bus-stop, Ikorodu road, three of its pumps were sealed for under-dispensing. At Ibeju-Lekki, Kaz Oil, Lakowe; Forte Oil, Gulf road, Lakowe; Ona Ara Oil and Gas Station; Forte Oil, Molete; Wakass, Igando-Oloja; Forte Oil, Abule Folly Ibeju, and Forte Oil, Oribanwa were all sealed. The Forte Oil station at Oribanwa was sealed for hoarding 24,000 litres of PMS and refusal to open pumps for testing by the DPR officials. Kaz Oil, whose pumps read N86.50 per litre at the time of the visit, under-dispensed petrol by 0.8 litre for every 10 litres, thereby making the public buy the product above N90 per litre. 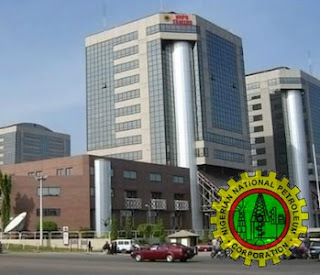 Ona Ara Oil and Gas station, where there was no one to attend to the DPR inspectors, was sealed as the officials believed the pumps were switched off and abandoned on the news that the DPR was at the nearby station, Kaz Oil. At Forte Oil along Gulf road, Lakowe, two of its pumps were under-dispensing by 0.98 litre and 1.06 litre for every 10 litres. Wakass and Forte Oil at Molete filling stations were closed down for short-changing buyers by 0.82 litre and 0.95 litre respectively for every 10 litres. At Forte Oil, Abule Folly, the pumps were under-dispensing by as much as 1.26 per litre for every 10 litres, meaning that a buyer who was there to buy 10 litres got less than 9 litres. The Zonal Operations Controller, Lagos, DPR, Mrs. Chioma Njoku, in an interview with newsmen at the end of the exercise, said the affected stations would be made to pay a fine of N100,000 each.